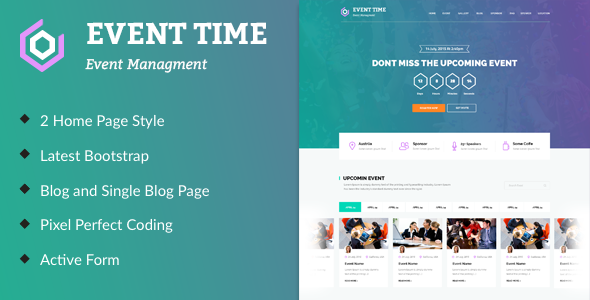 Event Time is a HTML template for conference, meeting and event websites. It is a highly suitable template for companies that plan meetings as well as event management websites. It has purpose oriented design, responsive layout and special features like appointment forms, services, event planner, schedules, pricing plans and other pages.